Dr. Arta Farahmand is raising awareness for those showing symptoms of gum disease, like red, swollen or bleeding gums in Torrance, CA, about the benefits of LANAP® therapy. LANAP uses dental lasers to gently eliminate disease-causing bacteria, creating a healthy environment. The infection from gum disease can spread all around your body; your heart, lungs, kidneys. 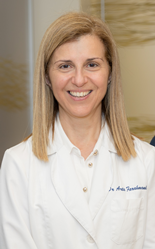 Periodontist, Dr. Arta Farahmand, raises awareness for LANAP®, a minimally invasive treatment for gum disease that utilizes modern dental lasers. The Laser Assisted New Attachment Procedure (LANAP) uses the modern PerioLase® MVP-7 laser to gently and effectively remove bacteria and diseased tissue, the leading cause of gum disease. Dr. Farahmand is certified and trained to offer LANAP treatment for those suffering from gum disease, including persistent bad breath, receding gums and bleeding gums in Torrance, CA. Gum disease is a common problem that develops in millions of adults. The disease frequently goes under-diagnosed because the symptoms are common, such as bleeding gums, constant bad breath or receding gums. Without treatment, gum disease can develop into advanced periodontitis, an incurable condition that can lead to tooth loss as well as a spread of infection to other parts of the body. As an experienced periodontist, Dr. Farahmand has the skills and technology to diagnose and treat gum disease in all of its stages. “The infection from gum disease can spread all around your body; your heart, lungs, kidneys. We also know the linkage of this infection to cancer. The gum disease bacteria can go into cells and change the genomes of the cells to turn them cancerous,” says Dr. Farahmand on the dangers of unchecked gum disease. Dr. Farahmand offers patients the option of LANAP laser therapy for treatment of gum disease. LANAP differs from traditional treatment in that it does not require scalpels, sutures and causes minimal bleeding. Treatment can often be completed in just one appointment and with a minimal recovery time. Additionally, LANAP is FDA cleared to offer True Regeneration, which helps form new bone to surround teeth after disease has caused bone loss. An active member of the American Academy of Periodontology, Dr. Farahmand has over two decades of experience as a gum disease specialist. Her dedication to staying current with advanced technology, like laser dentistry, helps give patients more effective and gentle treatments. LANAP allows those who suffer from dental anxiety an opportunity to receive the dental care they need without the fear. Patients interested in learning more about LANAP or who are experiencing signs of gum disease like bleeding gums in Torrance, CA, are encouraged to schedule a consultation with Dr. Farahmand by calling 424-488-7500 or visiting the website at http://www.periodentalimplants.com. Dr. Arta Farahmand is an experienced periodontist serving the Torrance, CA area. With knowledge, skill, and dedication, Dr. Farahmand has made it her life’s goal to help people look and feel better. Completing her Bachelor’s and Doctorate of Dental Surgery degrees from Northwestern University, she later completed her specialty certificate in periodontics from Emory University School of Postgraduate Dentistry. An active member of American Academy of Periodontology, past president of the Western Los Angeles Dental Society and currently on the board of directors of the California Society of Periodontics among other organizations, Dr. Farahmand understands just how critical continuing education is in offering high-quality periodontal care. Dr. Farahmand offers the latest techniques for dental implants, laser gum disease therapy, gum recession treatment and a variety of other periodontal services at her state-of-the-art office. To learn more about Dr. Farahmand or her services, visit http://www.periodentalimplants.com or call 424-488-7500 for a personalized consultation.